A new chapter in the history of the Utah Utes sports program began in 2011 when the team moved into the Pac 12 conference. With the university’s move into the Pac 12, fans have an opportunity to see some of college football’s best teams each year at Rice Eccles Stadium. Prior to its construction in 1998, the old Rice Stadium was located on the same site as the stadium today. With the announcement that Salt Lake City would host the 2002 Winter Olympics, a new stadium for the opening and closing ceremonies needed to be constructed. 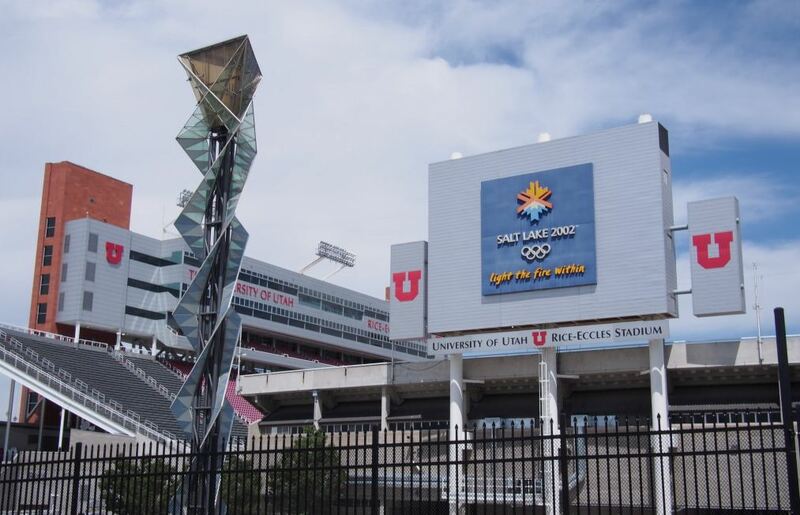 The city along with the University of Utah decided that a new stadium would be built for the Utes and the Olympics. The old stadium was demolished after the 1997 season and a new stadium rose in its place and was completed by 1998. The Utah Utes made their debut at the stadium on September 12, 1998 against the Louisville Cardinals. The stadium was named after Robert L. Rice who donated $1 million for the old Ute Stadium in 1972. It received its current name, Rice Eccles Stadium, after George S. and Dolores Dore Eccles donated $10 million for the stadium’s construction. Over 45,000 seats surround the Fieldturf playing surface. A three tier press box with 450 club seats and 25 suites is located on one side of the gridiron. A new $1.6 million video/scoreboard was added before the 2003 season. In November 2018 the University of Utah announced plans to expand Rice-Eccles Stadium, increasing the capacity of 51,444 prior to the start of the 2021 season. The $80 million renovation includes demolishing the existing south endzone and replacing it by enclosing the bowl of the stadium, connecting the east and west concourses to the stadium end. This project also includes new premium luxury suites and loge boxes, upgraded locker rooms and other operational rooms.